Like the changeable Irish weather, this was a mixed week for me. On Tuesday I was at a funeral which was attended by many hundreds of people. The deceased, at 51 was quite young and had many close friends, acquaintances and loved ones, having three brothers and six sisters who all, of course, had extended family. When I reached there, after a two hour drive, I could scarcely believe how packed the village was with cars. The church could not contain everyone and so I, along with many others, was directed to the church hall – which was also packed. I felt a great sense of sadness for many reasons that day and after the funeral stood for a while at my parents’ grave. I longed to talk to them about my feelings… that overwhelming sense of loneliness. There were things I longed to say to them, that only they would understand. After that I was standing in a supermarket car park when I noticed that I was the only one left in the car park which was about to close… A voice sang over the intercom in that great empty space, somehow echoing my melancholy mood. But then I reminded myself… the Lord was with me during all of that day, upholding me and comforting me. I remembered how, on reaching the village, I prayed that He would provide me with a parking spot – somewhere. It seemed impossible as the streets were so packed. Miraculously, my simple prayer was answered in an instant, when I noticed a man putting a little boy into a car seat. Noticing my predicament, he smiled and waved for me to take his spot when he had gone. And that spot was very close to the church which was good, as I had been delayed on the journey. It was good to be there, if only to give a comforting hug to the bereaved and to speak words of comfort to others that I met. 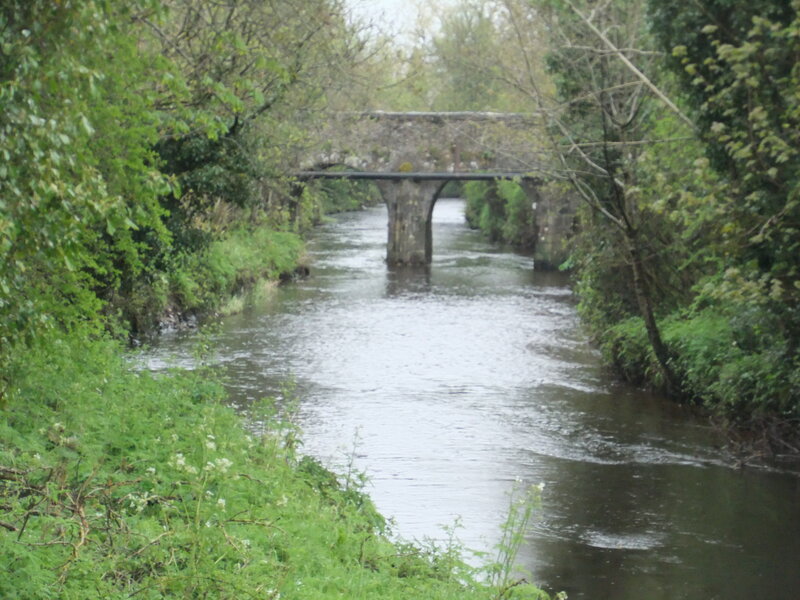 The following day I made another journey in my own County Meath, to distribute books and again I felt the Lord’s guidance and comforting Presence. It was a sunny day as I set out and I felt much encouraged as I travelled to the town of Ashbourne where the large modern library stocks my books. Ashbourne, although a small town, has a cosmopolitan feel, with many people of different nationalities living here. 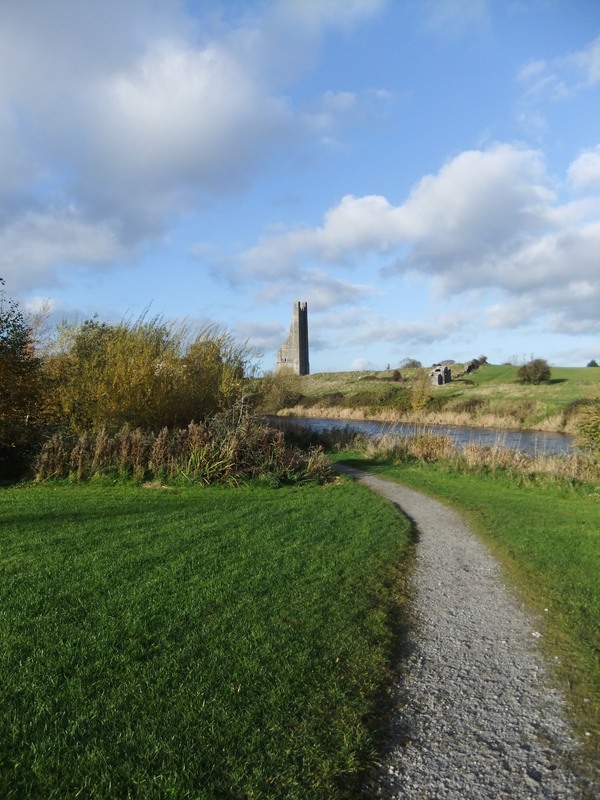 Driving on through little hamlets, villages and rural areas, I passed through the small towns of Ratoath – and Dunshaughlin which also has a library where the books are available. 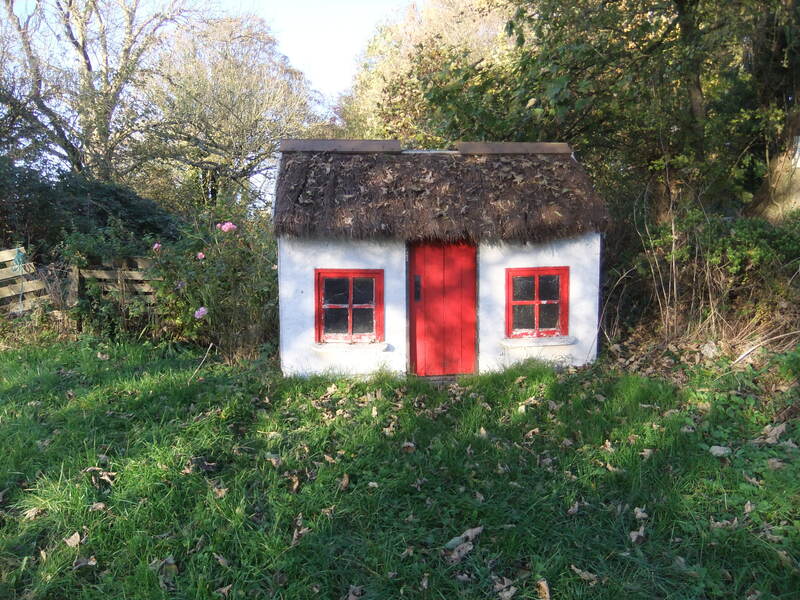 I soon arrived at my last destination – the quaint town of Trim. Here I was reminded of my parking incident of the previous day; I was about to buy the parking ticket, when a business man who was simultaneously about to leave the car park came over and kindly offered me his ticket, which he said was valid for the rest of the day. Again, I felt the Lord caring for me and encouraging me. Even the traffic warden had a smile on his face, when he turned his attention from sticking a parking ticket on some unfortunate’s car, to face the river where ducks and tiny ducklings were waddling by the waters’ edge. Sunshine sparkled on the rippling river Boyne where the quivering leaves of lovely trees were reflected. 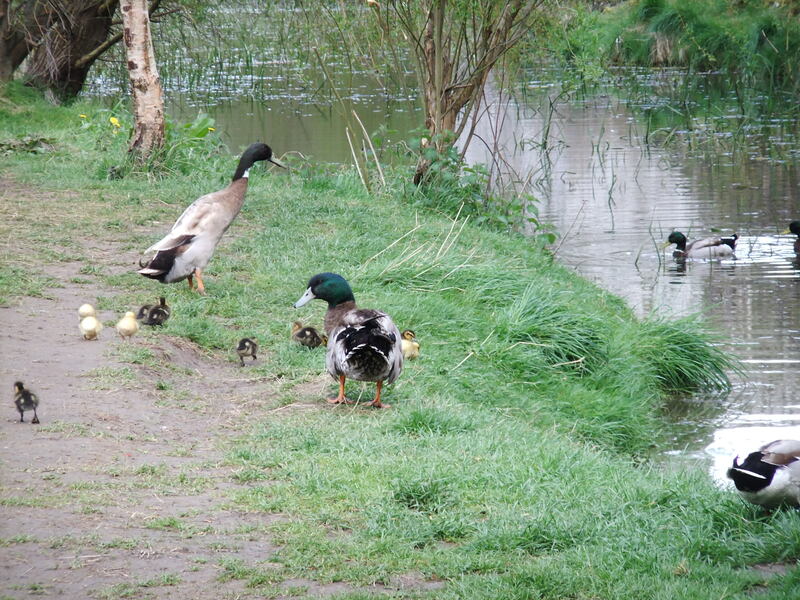 “Aren’t they so beautiful?” I said, as I snapped a photograph of the little ducklings and their duck chaperones. “Indeed they are,” affirmed the traffic warden warmly, as he too took out his camera – which would normally have been put to more unpopular use! It was good to meet the lady in the Trim Visitor Centre again, to visit the little library and to talk to Antonia in Antonia’s Bookstore which also stocks my books. And yet the Lord is with those who love and serve Him through all the weary ways in life – He is ever- present in the sunshine and ever caring in the storms. 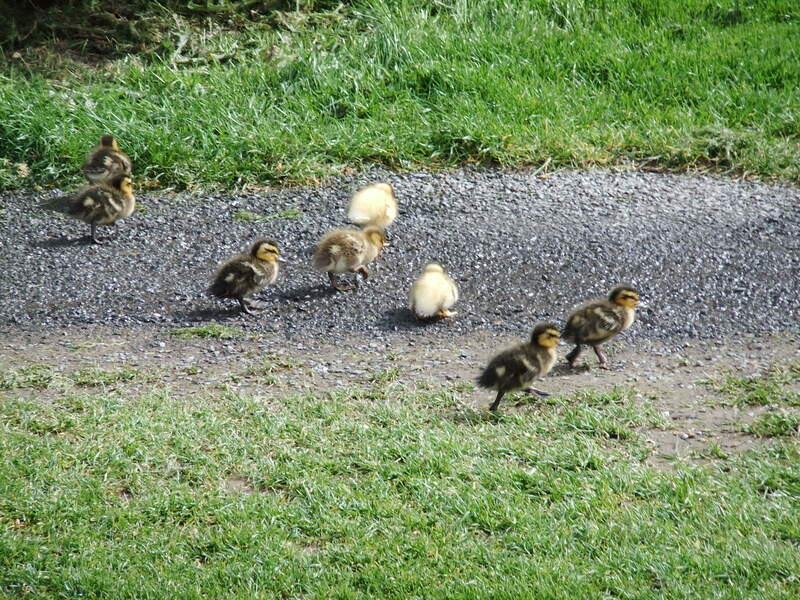 As I recall the ducks attending to their young, I am reminded of the Song of Moses in Deuteronomy 32v11, about an eagle this time… “As an eagle stirreth up her nest, fluttereth over her young, spreadeth abroad her wings, taketh them, beareth them on her wings…” so the Lord does lead us as He led Moses. He cares for, protects and guides His children; He bears them up and they shelter in the shadow of His wings. Yes… and how He loves all the people of this world, desiring that they would accept His greatest gift of all: the gift of the Lord Jesus Christ who died to save us all. 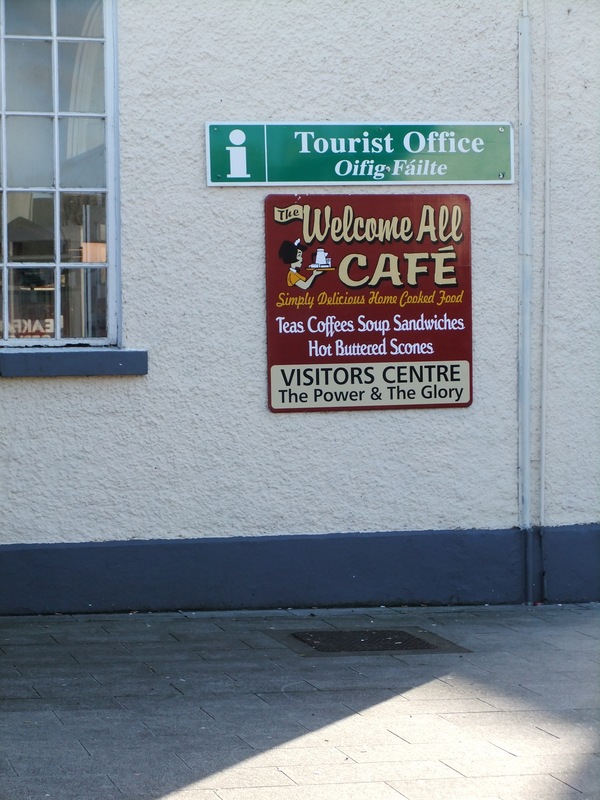 My books have been distributed to some unusual outlets in interesting locations, one of these being the tourist information office and genealogy centre in the medieval town of Trim in County Meath. From time to time I call at these places to see whether the books are still on the shelves and whether the outlets concerned require more. Just recently I had reason to travel once again to Trim, a quaint little ‘country’ town of famous historical significance with its numerous ancient monuments. 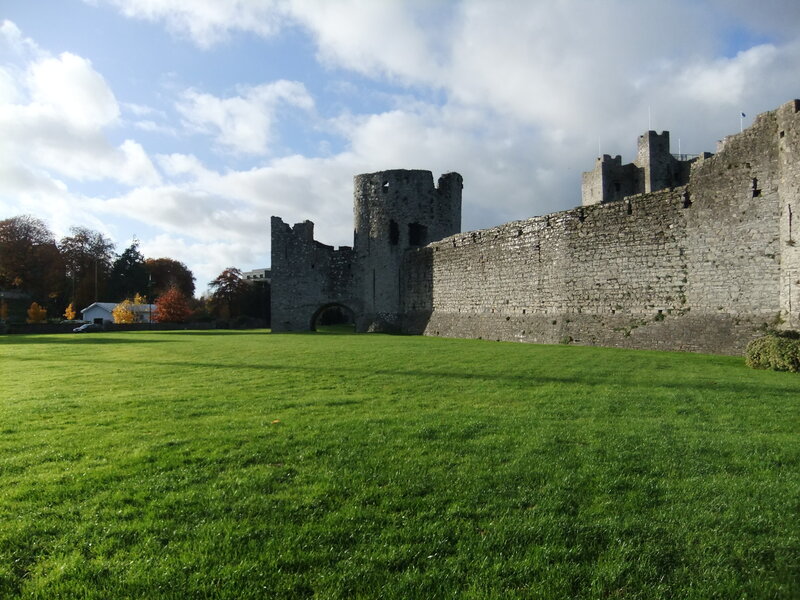 Boasting the largest Norman Castle in Ireland which was built in 1173, the town is also home to Trim Cathedral. The bookshop “Antonia’s” is another outlet and the books can also be acquired through the small library in Trim. My mind travels nostalgically back to some quiet afternoons as I sat quickly scratching my biro across some paper; while the Lord gave me the words for my first book I had such a strong sense of His Presence. Back then I had no laptop and only a little access to our computer, as my daughters were all studying at the time. I trusted Him and I still trust Him for the future; to guide my every word to His glory and for the extension of His Kingdom. 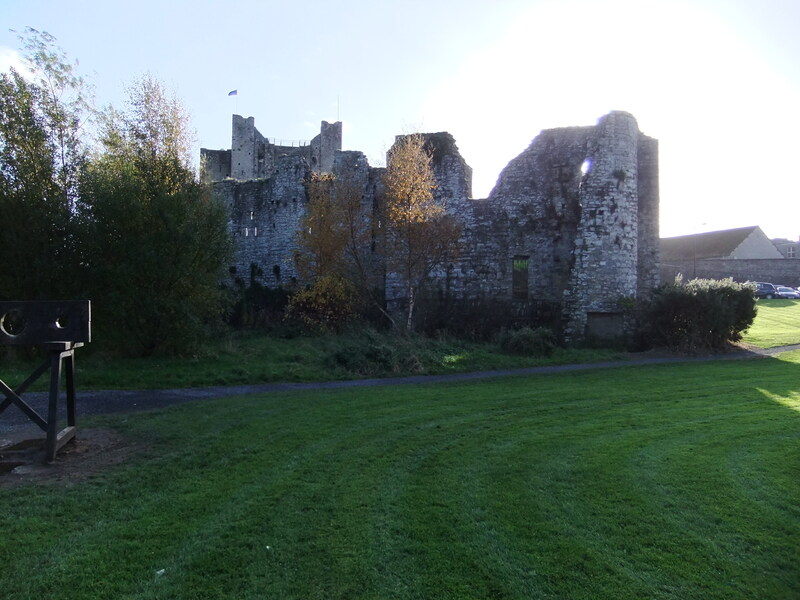 Eight hundred and forty years have passed since the great castle in Trim had its beginnings and I find it so fascinating that this large fortification still stands to remind today’s men and women on Trim’s streets of how it was all those years ago. 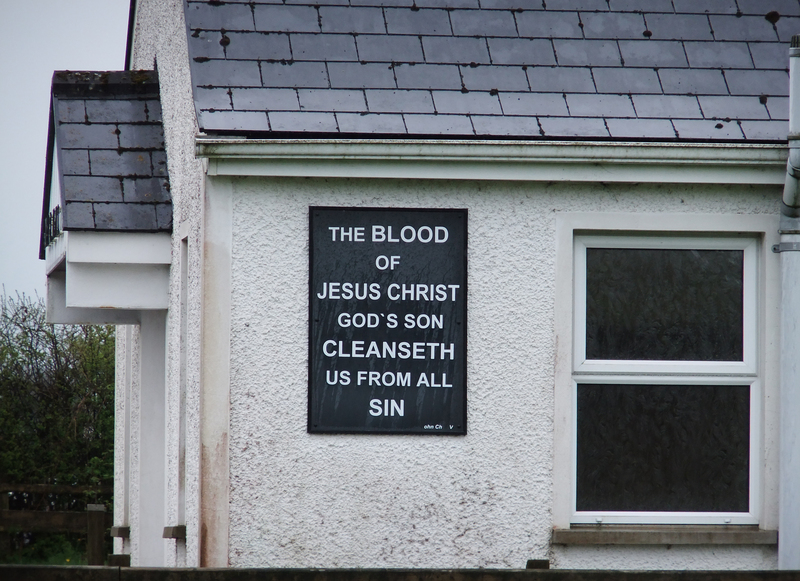 I thank the Lord today that His Word “will not return unto Him void” and that my fellow countrymen and women, as well as visitors to Ireland may, through the written and spoken words of the Lord’s servants, still be touched by that ‘still small voice’ and brought to a living faith in my Lord Jesus Christ as Saviour. You are currently browsing the archives for the Book Locations category.